Discover the potential of our dental software! Only the best for you and your patients. Immerse yourself in the world of dentistry. 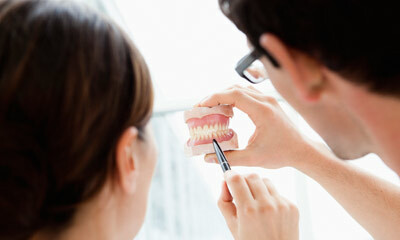 Thanks to our long years of experience in the dental field, we understand the needs of our customers exactly. Our innovative products impress with highest precision, user-friendliness and efficiency. Earmolds are integrated components of hearing aids, in-ear-monitoring-systems and ear protection. Their quality is no coincidence. Experience how you produce high-quality ear pieces with the Secret Ear System. Hearing means quality of life. It makes participation in everyday events possible. The connection between ear and electronics is of particular importance. Read about what it takes to manufacture earmolds consistently at the highest level. The employees of Cyfex AG received their education at the best technical institutions. The knowledge obtained in the process is transformed during project work into innovative solutions for the benefit of our clients. We enjoy our work and our clients can see it. No algorithmic problem is too complex for us. Do you have any tricky tasks, scientific publications or simply an idea for your next product? We will offer you an exclusive solution that we can implement for you in the shortest possible time. Cyfex is a leading provider for the development of efficient and qualitatively high-grade software for medical technologies, among others. Our services and products deliver solutions for the CAD/CAM, 3D scan and 3D printing fields. Cyfex has supported the world market leader in the dental industry, Dentsply Sirona, for more than ten years in the development of their CAD/CAM products. Ease of operation and precision make our software profitable for any dental practice or laboratory. Through its high degree of automation, our software makes an impression and raises dentistry to a new level. Manufacturing of first-class earmolds: The secret lies in the quality of the tools. The Secret Ear System consists of components behind which lies state-of-the-art technology, while at the same time satisfying users with its extraordinary user-friendliness. We support our clients in the targeted implementation of demanding software development projects. With our help, it is possible to interactively create and process 3D models a few clicks of the mouse. We always welcome applications from motivated and communicative individuals who have ideally completed a degree in computer science or mathematics. You can find more at Jobs & Careers at Cyfex.